Gamers are only a few weeks away from creating pet-themed levels in LittleBigPlanet Vita. After being announced in early 2011, way back when the PlayStation Vita was still referred to as the NGP, LittleBigPlanet was notoriously absent at the handheld's launch. Thankfully for Vita owners, Sony has announced that the wait for the next game in the adorable platforming series is almost over. 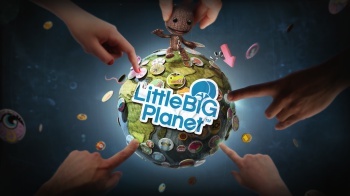 Gamers in North America can get their hands on LittleBigPlanet for the Vita on September 25. Set on Carnevalia, a "mysterious traveling planet," LittleBigPlanet will utilize the Vita's unique controls for platforming and level creation. In addition to being able to share their creations with other players, gamers can use the Vita's camera to incorporate photos into the game, meaning "it's never been easier to make your cat or dog the hero of your level!" You probably didn't need another reason to take pictures of your pet, but at least now you have a valid gaming-related excuse. Though the handheld had a solid launch line-up, Vita-exclusive games have languished in the months since its release. With LittleBigPlanet being the first of several promising titles due out later this year, early adopters of Sony's latest portable system should have a few more reasons to celebrate this holiday season. If you're into that sort of thing, you can still pre-order LittleBigPlanet for some bonus goodies, including BioShock Big Daddy and Little Sister costumes. You could also spend the next few weeks taking lots of cat pictures on your Vita to prepare for the inevitable flood of user-created cat levels, not that any of us would do that.